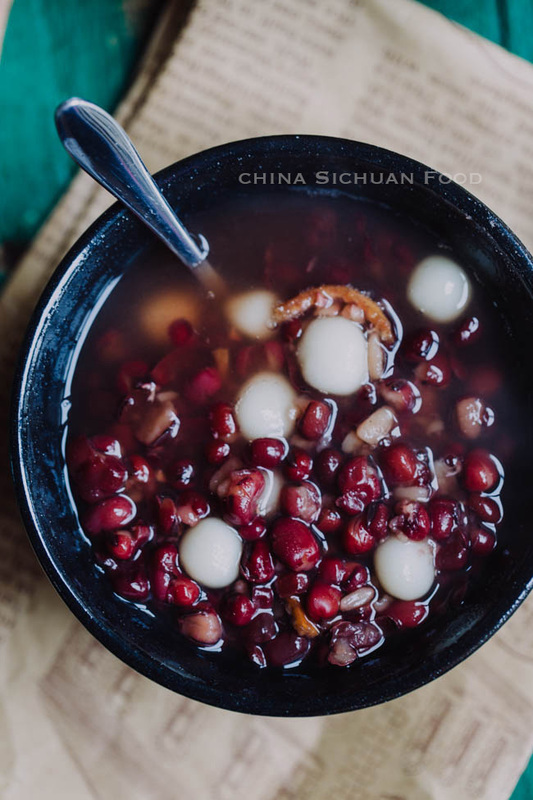 Red bean soup, one popular Chinese dessert of Tangsui group, is served either cold in summer or hot in winter. In Chinese it is known as “Hong Dou Tang”. And there is another famous Chinese bean soup–mung bean soup. 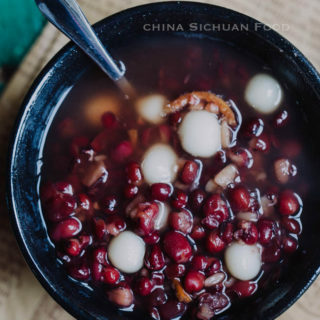 Red bean soup is low in Caroline but rich in vitamin B and E and other beneficial minerals including magnesium, potassium, iron, zinc, cooper and manganese. In additional, we love the soluble fiber contained for the consideration of keeping slim. 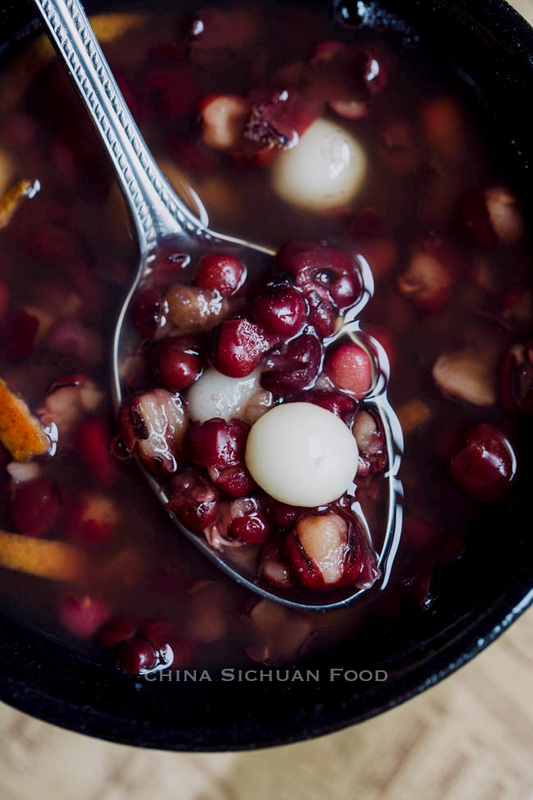 In Chinese traditional medicine, red bean soup can be used to remove the coldness in body and fight against constipation. 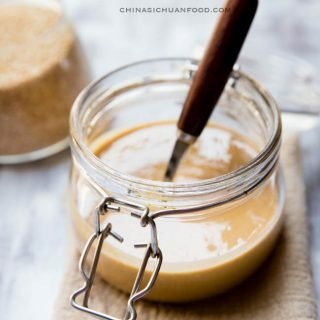 This healthy soup can be served as a hot soup in winter and also a cool dessert in hot summer. Redbean soup is believed to be one of the most beneficial soups in China. Chinese version of red bean soup is lighter than Japanese version. And there are in fact lots of varieties by adding other side ingredients into the healthy soup. 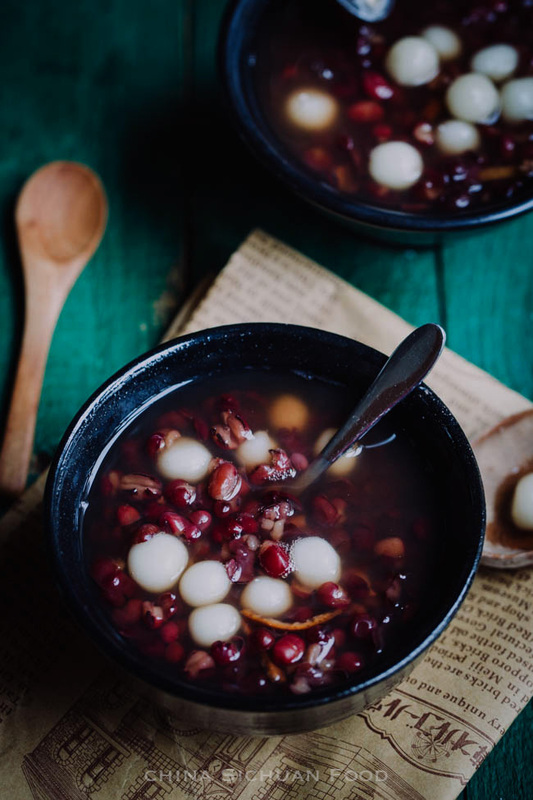 Some common ingredients to match with red bean soup are dates, lotus seeds and sago, coconut milk and longan. Dates, lotus seeds, longan can be added to cook directly with soaked beans while sago need to be cooked separately. 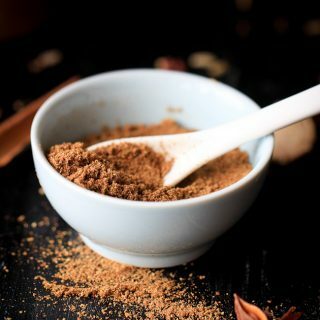 The best herb and spice for red bean soup is dried tangerine peel (called chen pi). It is beneficial herbs with a warming portray. 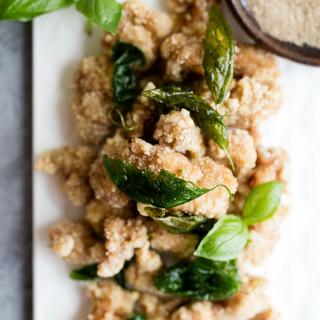 By adding the fried tangerine peel, except the beneficial efforts about indigestion and diarrhea, a very unique flavor is also added. 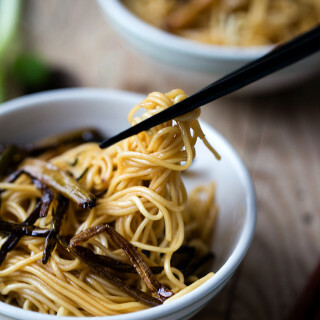 If you love the authentic Cantonese tangshui, stick with it. 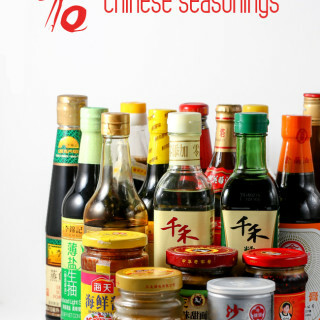 However you and also skip this ingredient if the taste is not that welcome to you. The best tool for powdering red bean soup is high pressure cooker. Even without the soaking process, the beans can be well cooked within 30 minutes.However if you want to cook it in a regular pot, here is a special procedure to speed up the process and making the beans even softer. Place the bean in the pot with water. Bring all the content to a boiling and then continue boil for 10 minutes. Turn off the fire and let the beans cool down slowly. Then re-start the fire and continue simmering. The beans should be quite soft after 30 minutes simmering. Then season with sugar. 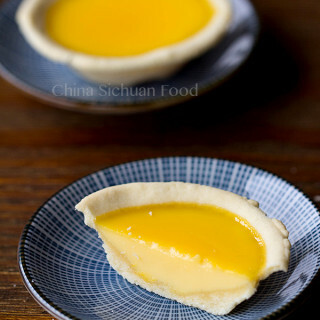 You can directly serve it directly as a soup or serve with add ons for example sticky rice cake or sago. Mix 50g sticky rice flour with 45ml water. 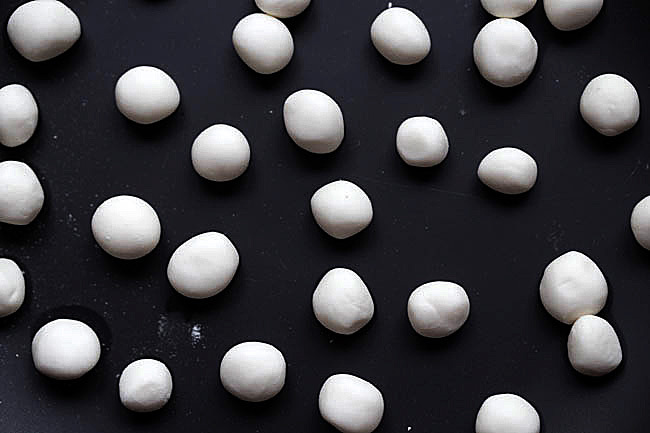 Knead well and then divide into 30 small portions and round each into a ball. Next time, cook the sticky rice balls in hot boiling water for 5-6 minutes. 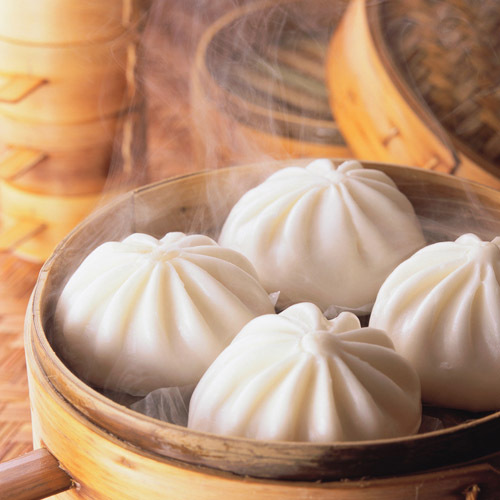 Transfer the sticky rice balls to serving bowls with red bean soup. Cook the sago with boiling water for around 10 minutes and then set aside with lid covered for around 15 minutes. 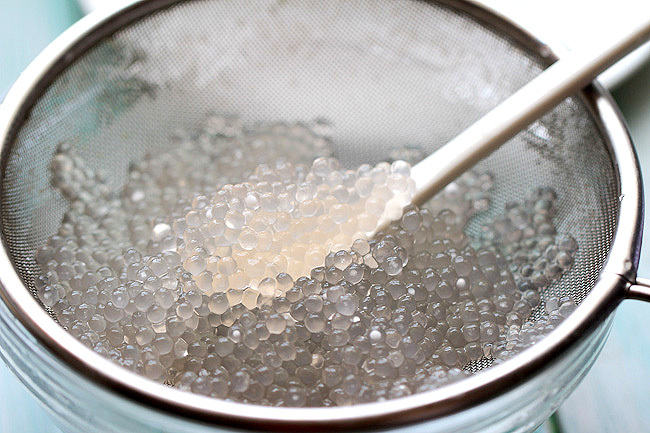 The white hearts of sago should almost disappear when cooked. In order to remove the sticky feeling of cooked sago, we need to rinse in cold water for at least 1 minute. 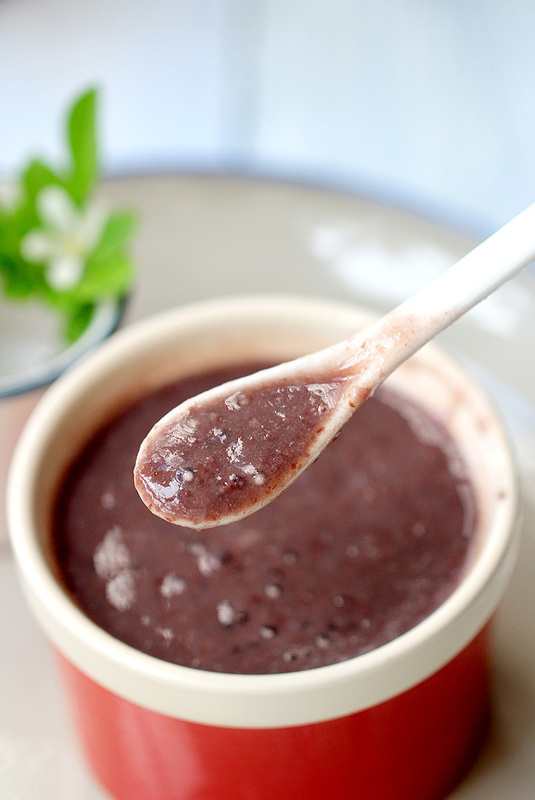 Blend red bean soup until smoothie and mix with cooked sago. Healthy Chinese red bean soup with coconut milk and sago. Pre-soak the azuki beans in water overnight if you are using ordinary cooker. For high pressure cooker, soaking process is not a must but also recommended. Put rock sugar, soaked beans, water and orange peels in a large pot. Bring all the content to a boil and then cook for 15 minutes. Turn off the fire and let the beans cool down slightly, with the lid covered. Then re-start the fire and continue simmer for 30 minutes until the beans are completely soft. Season with sugar. Blend the red bean soup until quite smoothy and then mix with sago. To cook the red bean soup within a high pressure cooker, there is no need to pre-soak the beans, just place red beans, water and tangerine peel and let the cooker help you to cook for 30 to 40 minutes. Higher pressure mode can greatly shorten the time. Am I missing something? 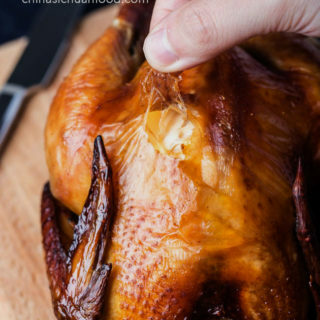 How long to cook? How much water? Esp. if cooking in pressure cooker?